The Adam Equipment ASC 2001 Compact Food Portioning Scale has a capacity of 2,000 grams with a readability of 0.1 grams and a 6.3 x 7.1 inches (160 x 180mm) pan size. 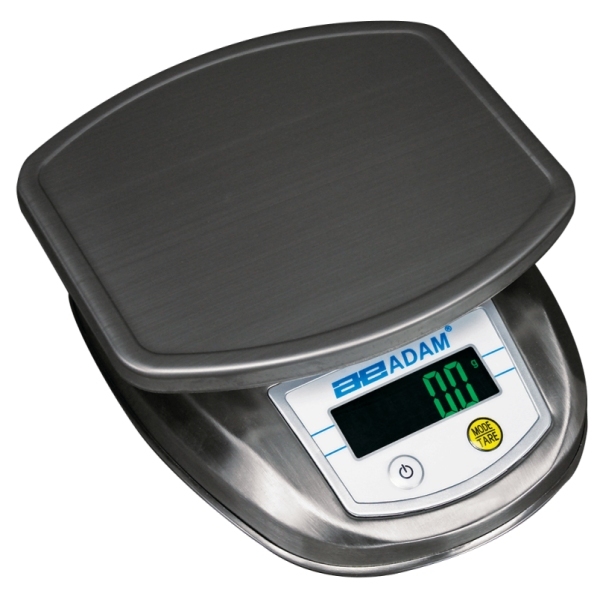 Astro compact scales offer a full set of features for easy weighing in classrooms, industrial applications and portion control. With capacities ranging from 2000g to 8000g, the Astro is ideal for measuring food servings or quantities of ingredients for recipes or science experiments. Solid, one-piece construction and stainless steel housing are easy to clean, while the durable grade 304 stainless steel pan accommodates ingredients or a weighing container. Astro is simple to operate, with only two buttons that provide ready access to the weighing units and allow the unit to be tared quickly. Results are shown in green on the Astro's large LCD. If too much weight is placed on the scale, the green figures change to red, alerting the user.